H.R. 1628 is dominating the news in part because no one knows what’s in the Senate healthcare bill. But we do know what was in the bill passed by the House. And whether you’re young or old, sick or healthy, or covered or not – you need to know what’s in it. Because no matter who you are, there is a provision in it that will affect you or someone close to you. How Will Healthcare Change Nationally? According to the Congressional Budget Office’s (CBO) report on H.R. 1628, the number of people who have health insurance would grow slightly. Their premiums would also be slightly lower. However, this would be because their insurance would cover less – they’d pay more out of pocket. Overall, the CBO says that it’s likely that 14 million more people will be uninsured next year and it could grow to 23 million more people by 2026. In 2026, the number of uninsured people under the age of 65 is projected to reach 51 million. To read the CBO’s full report, click here. If you’re currently eligible for Medicaid or become eligible after the law passes, your access might be affected. The Senate healthcare bill will also likely be phasing out the Medicaid expansion. Medicaid was a key issue for Republican lawmakers. Obamacare allowed anyone below 138% of the poverty line to access it as long as their state participated in the expansion. Cutting the expansion program would see a drop of $880 billion in funding. The consequences of that are dire. Everyone from the young to the old to schools will see the consequences for it. But it’s essential for you to know. Under the new plan, the program would freeze on January 1, 2020. So if you lose your job – and your coverage – on January 2 – you are likely out of luck. Medicaid will also be converted to a “per capita cap” system. Rather than giving the states what they need individually, the GOP plan proposes giving each state a set sum for each enrollee. This is where the plan saves $880 billion. There is also the possibility that states could opt into a work requirement. Medicaid enrollees would need to be employed to be eligible. Though, even some conservatives oppose going that far. Under Obamacare, your insurance company couldn’t charge you more because of a pre-existing condition. And House Speaker Paul Ryan agreed. When the bill was first introduced, it left provisions like the pre-existing condition provision in place. However, this provision didn’t survive. Instead, you could be charged more if you got sick and purchased insurance because of a gap in your coverage. Basically, the GOP is interested in separating sick people and healthy people. The idea is to keep premiums down for relatively healthy people by creating high-risk pools. The bill doesn’t come out and say that people who are sick should pay more. But it doesn’t stop insurance companies from charging them more either. Rather, states can apply for some of the $8 billion to be given out over 5 years for sick people. However, studies from Avalere Health suggest that the $8 billion allocated would cover only a small percentage of those who have pre-existing conditions. Another issue allows in the provision that allows states to opt out of essential health benefits to be covered by policies. It could mean that essential services, like coverage for pregnancy services and mental health benefits, would skyrocket. Finally, there is the issue of what states choose to do with the money. The bill would allow states to take its portion of the money and spend it in other ways – like giving it directly to insurers. The bottom line for pre-existing conditions is that people who are sick are not left out in the cold. But there’s no guarantee they can count on their insurer or the government either. The Medicaid expansion under Obamacare benefitted millions of American children and their families – 45 million children access health care through Medicaid or CHIP (two federal-state programs). Today, 95% of children from infancy to 5 years old can receive medical care using their insurance, whether public or private. And much of that is the result of Medicaid. Kids are the largest demographic covered under the program. Rolling back the Medicaid expansion will hurt children the most because they receive the most benefits from it. When combined with the lapse in coverage provision and the high-risk pools, kids across the country can be denied fair rates for medical treatment of pre-existing conditions. Americans who receive coverage from their employer could also be hurt. The AHCA would repeal the employer mandate. The effects of this may be stemmed through other laws that require companies to cover their employees if they also cover executives. However, the Senate healthcare bill would also allow employers to strip down the plans offered to bare bones plans. It’s not clear whether employers will take the option. But it would be available to them if they wanted to cut costs. If kids and sick people, two groups who inarguably benefitted most from Obamacare and the Medicaid expansion, lose, then who wins? Young, healthy people would likely see their premiums drop, especially if they don’t have a lapse in coverage. Though, their premiums might drop along with their coverage. The Senate healthcare bill will also likely do away with the wealth taxes Obamacare created to pay for some of the increase in spending. Americans for whom tax credits are useful would also stand to benefit. Though, it is not clear whether the tax credit would offset the increased costs in healthcare associated the most basic plans, particularly in states that choose to drop Obamacare’s 10 essential services. Additionally, the tax credit is primarily associated with age – it gives some, but not much, consideration for income. Though, the reality is that a $4,000 tax credit will likely do little for a 64-year-old whose already high health care costs have jumped 10-fold as a result of the Senate healthcare bill. Whatever way you look at it, the Senate healthcare bill, if passed, will hurt the most vulnerable people in our society – even if it does relieve costs for some. 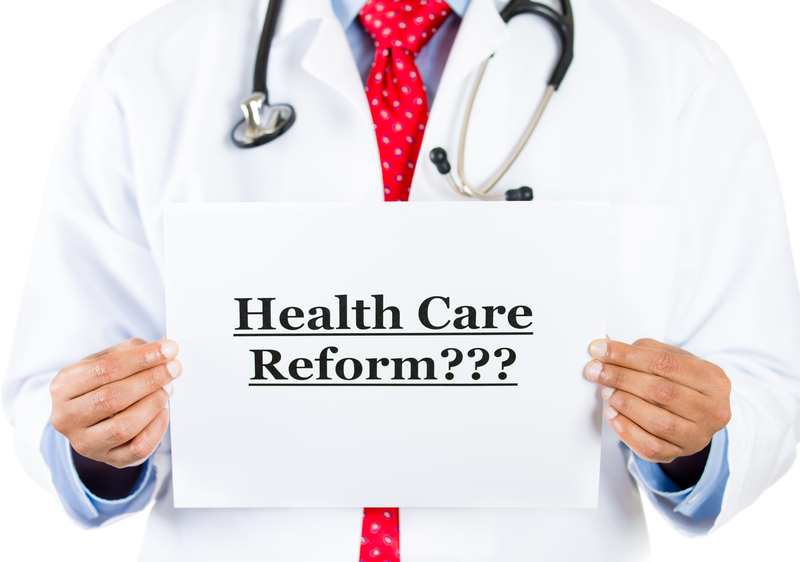 Whether you’re covered or not, you need to know what the bill proposes to do. Because unless you have iron-clad, Cadillac-level health insurance, there is a provision in this bill that will affect you or someone you love. To learn more about enrolling in Obamacare and your healthcare options for the future, contact Covered California Enrollment Centers. Please Share and Like us.